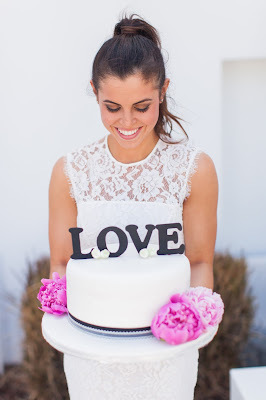 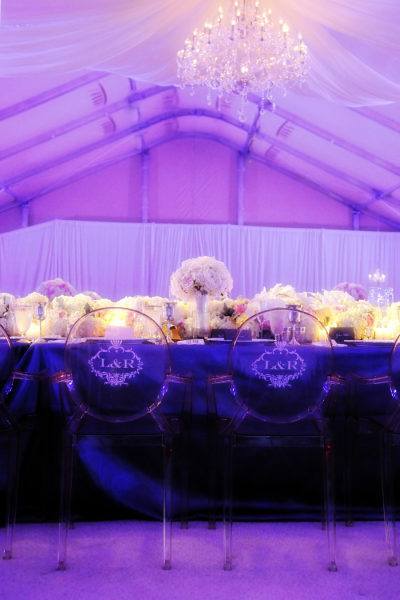 Customizing seating is another great way to add monograms to events. 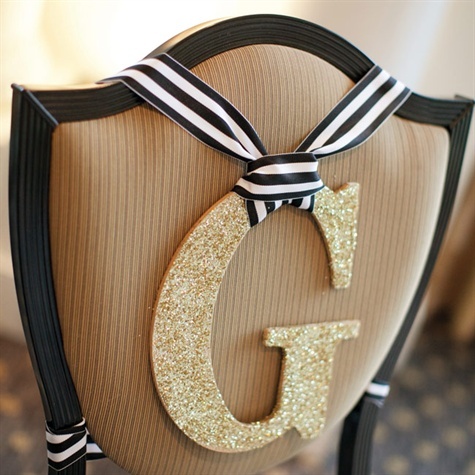 Whether they are chairs for the ceremony or reception, your personal touch will definitely shine through with these special details! It can be as easy (just hang some letters off the back!) 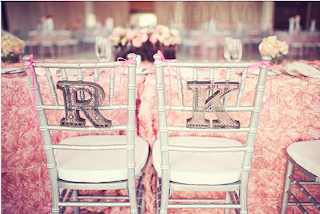 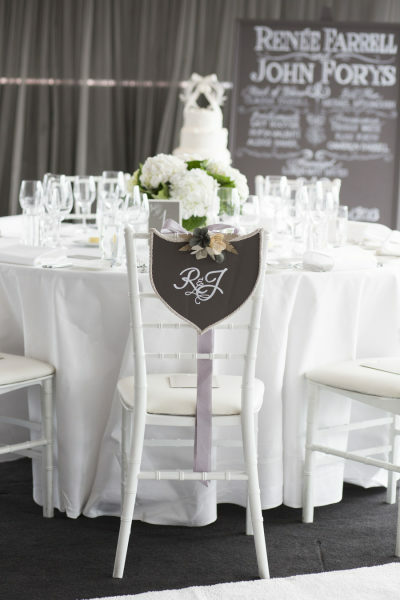 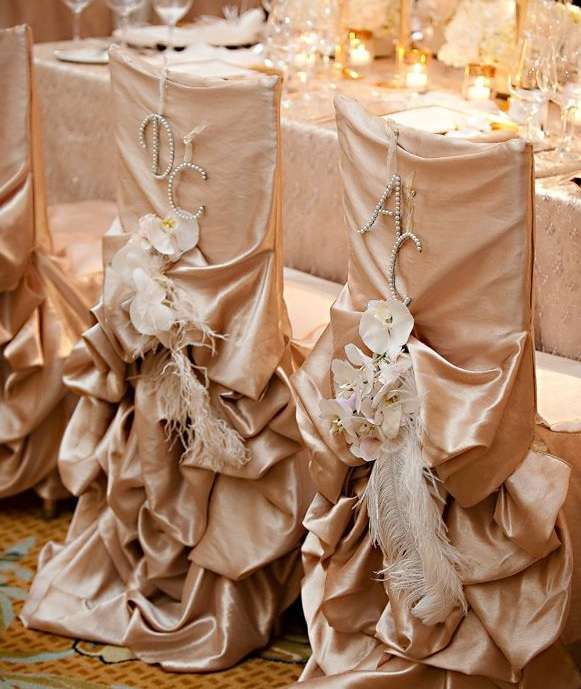 or complicated (custom monogramed ghost chairs) as you want it-- each way will definitely make an impact! 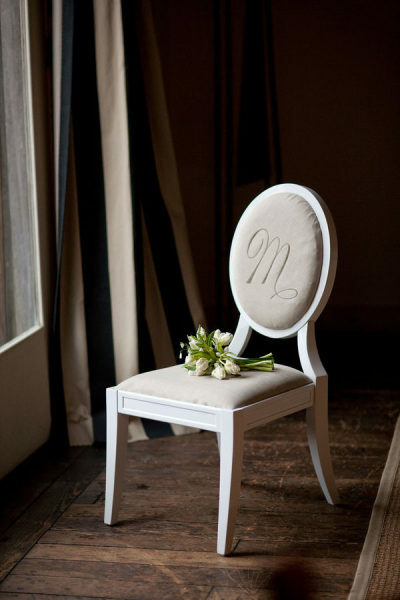 Now, the last decision is up to you-- do you keep these special chairs for just you and your new spouse or share the love with the guests too? 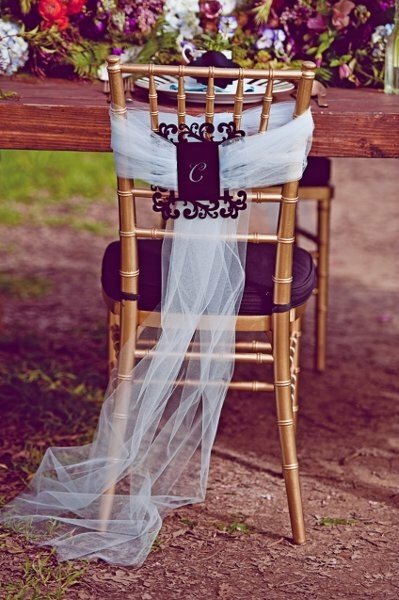 Browse below to see which styles keep you coming back!